Ah, Vegas! A pilgrimage that jewelry folks make each year to showcase new designs, meet with old industry friends and make some new ones. This year we brought color and uber chic cuffs ! 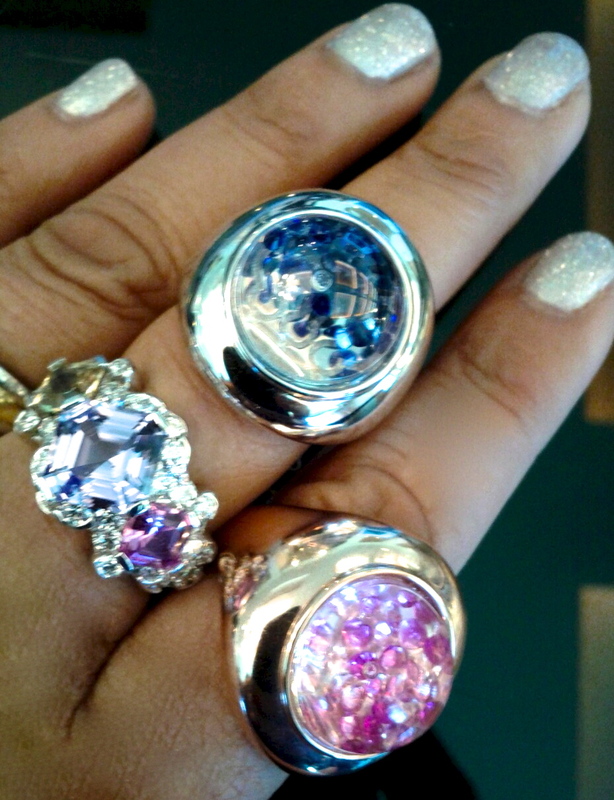 Check out the latest blue and pink sapphire 'Shining Stars' collection from Royal Asscher & Reena Ahluwalia. 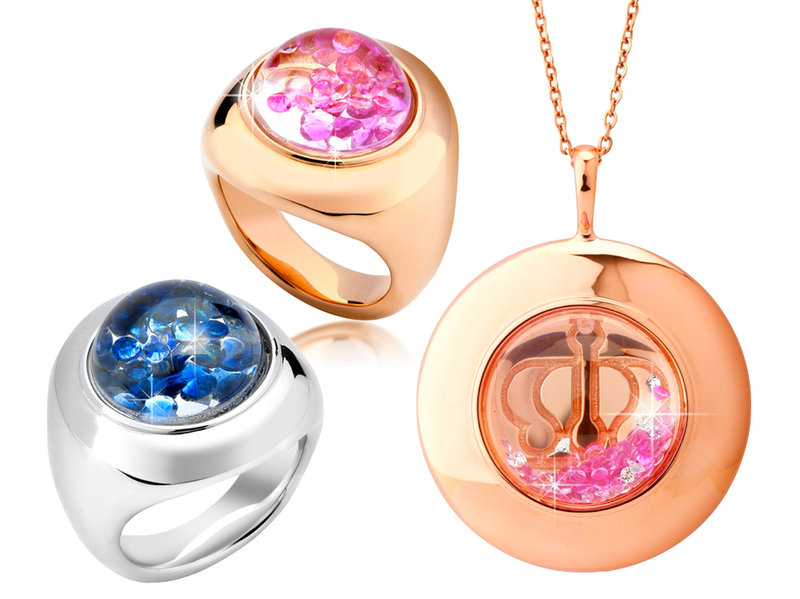 Shining Stars rings in 18K rose and white gold plated sterling silver with 0.80 ct pink and blue sapphires floating in globe. 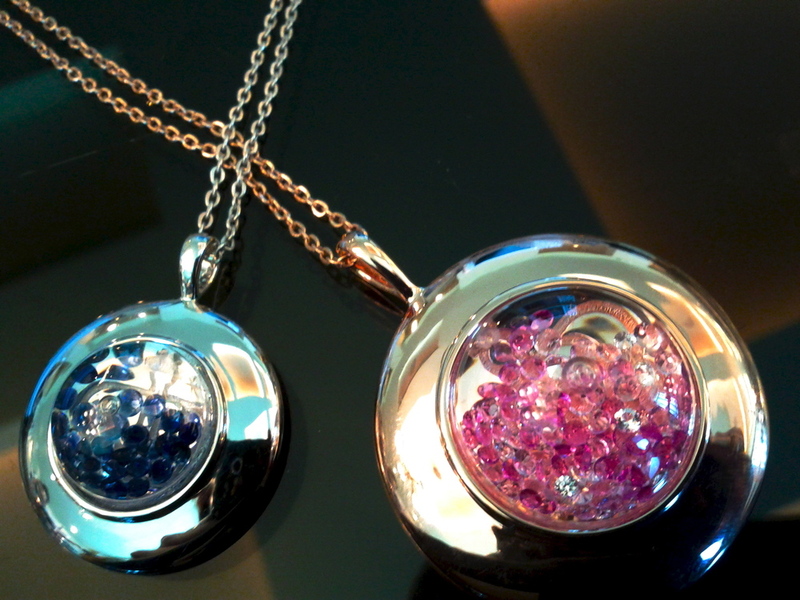 Pendant in 18K rose gold plated on silver with 1.72 ct. pink sapphires and 0.25 ct. diamonds in globe. Floating-blue-pink sapphire ring, Shining Stars collection, Reena Ahluwalia for Royal Asscher Diamonds. Floating-blue-pink sapphire pendants, Shining Stars collection, Reena Ahluwalia for Royal Asscher Diamonds. 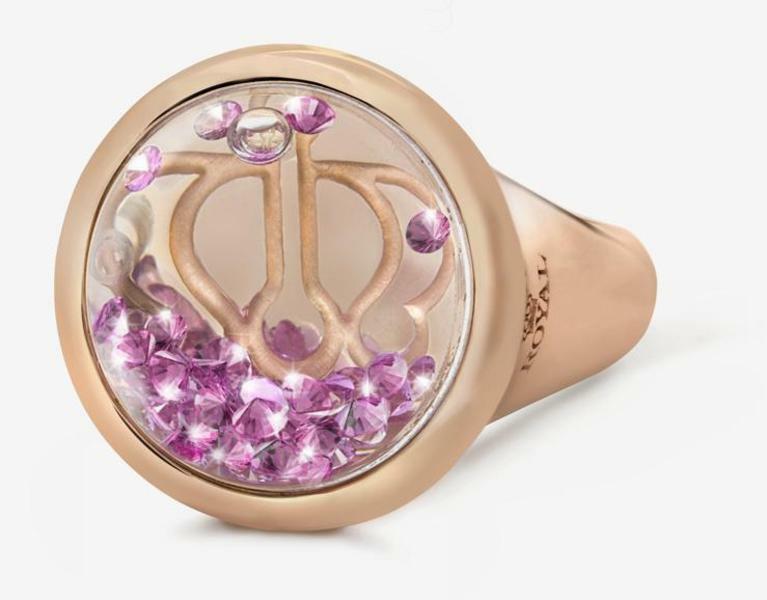 Floating-pink sapphire ring, Shining Stars collection, Reena Ahluwalia for Royal Asscher Diamonds. 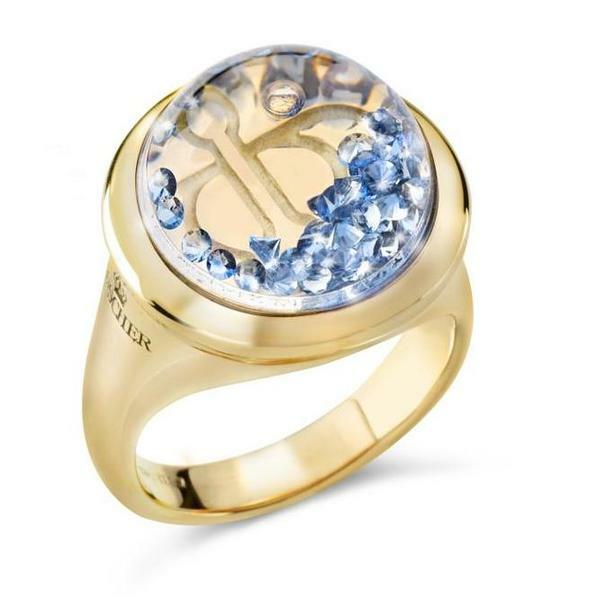 Floating-blue sapphire ring, Shining Stars collection, Reena Ahluwalia for Royal Asscher Diamonds. I am thrilled about the overwhelming response there uber street chic cuffs generated at the show! Floating-diamonds cuff in leather and plated sterling silver. Aren't they cool ? Floating-diamonds cuff from the Shining Stars collection. Ultra chic leather and floating-diamonds cuff, a latest from our Shining Stars collection. Latest from Royal Asscher & Reena Ahluwalia - Floating-diamonds cuffs in leather and plated gold! Must be Vegas! Royal Asscher cocktail event, Vegas-style at Eye Candy Lounge at Mandalay Bay in Las Vegas. Last, but not the least, an up-close view of Canoe Canadian diamond necklace by Reena Ahluwalia, showcased at Rio Tinto Diamonds booth at Luxury, JCK Las Vegas 2013. Reena Ahluwalia at JCK Las Vegas show 2013.